Speaking on the TED stage is hard. It’s hard to get to. It’s hard to speak from. It’s hard to stand out enough to make it to TED.com. For all of these reasons, it is also one of the most coveted speaking engagements in the world. 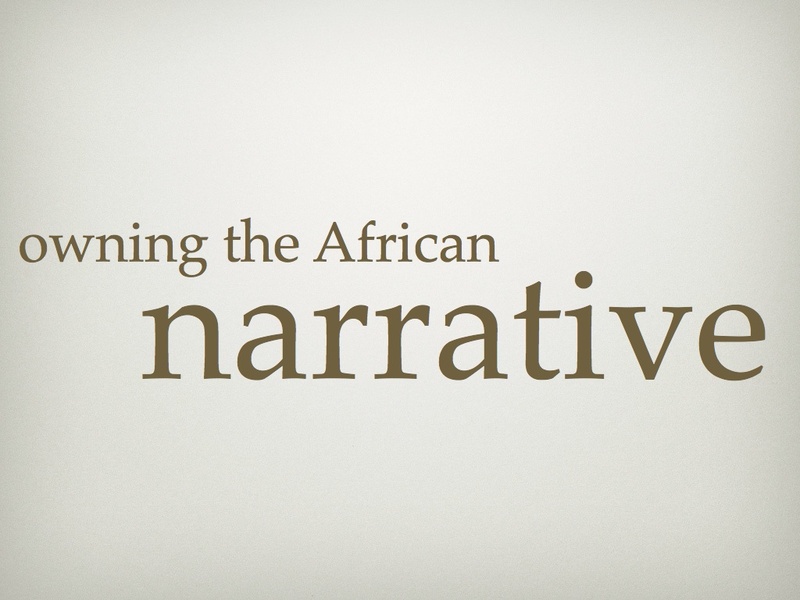 If you’re in Africa, this is your chance to get there, to be heard. The auditions are coming to the following 3 cities on the continent, and my sources tell me that Chris Anderson, the curator himself, will be there to screen you. Johannesburg, South Africa – applications open on February 24 and close on March 15. Auditions are on May 3. 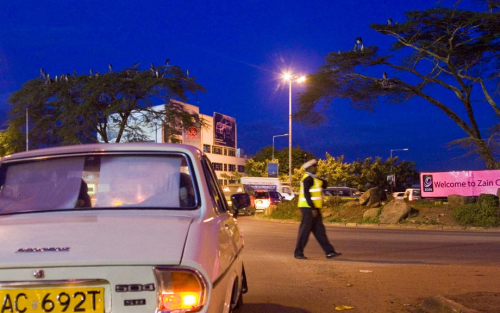 Nairobi, Kenya – applications open on February 26 and close on March 17. Auditions are on May 5. Tunis, Tunisia – applications open on February 29 and close on March 20. Auditions are on May 8. 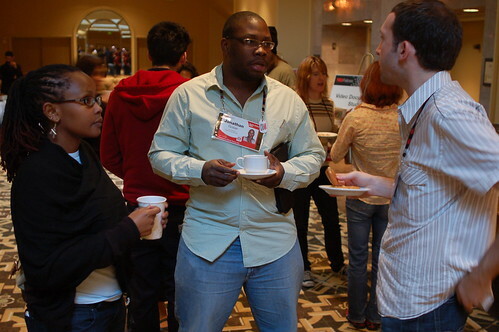 In 2007 there was a TED Africa, held in Arusha, Tanzania. 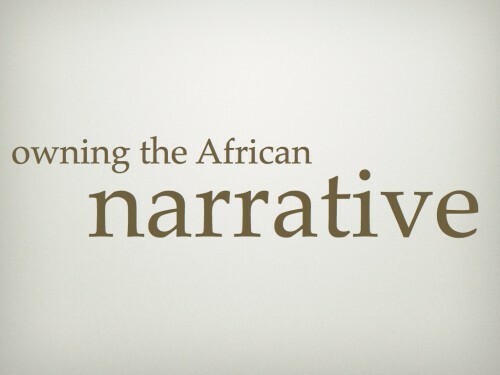 Looking back, this might have been one of the most important events for our generation of “cheetahs“, we learned the importance of story and a firestorm brewed over the trade vs aid debate. I was fortunate enough to be selected as one of the Fellows for that event, and it was there that the most of what would be the Ushahidi core team met. Seven months before we built it, we knew and trusted each other more because Juliana, Ory, Daudi, and myself were there. 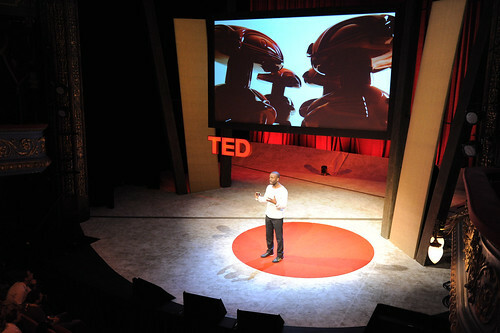 It was also the first place that I stepped onto the TED stage to talk. I did a short 3-minute talk on AfriGadget and the types of innovation found on the side of the road in Africa. To be honest, I psyched myself out on it, and didn’t do a great job. I don’t remember much about it, but the fact that it never showed up on TED.com means that it was underwhelming (and I’m glad that it didn’t see the light of day). This is also when I swore to never get worked up over a simple speech again. 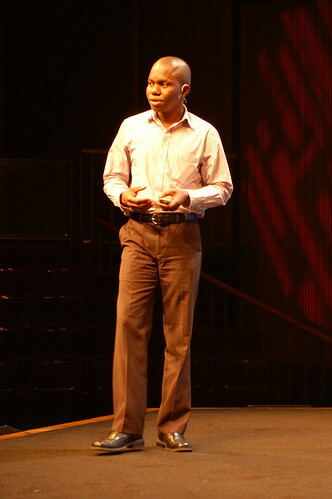 Fast forward to 2009 when the official TED Fellows initiative was launched. I had another chance to talk, this time on Ushahidi and our plans to build the next generation curation tool, which we call SwiftRiver. This time it went much better, and my talk showed up on TED.com. It’s now been translated into 31 languages and watched by thousands around the world, taking myself and Ushahidi to another level. If you’ve done something remarkable, have an amazing talent and are able to speak or perform well, then there isn’t a better stage than TED. Make sure you get your application in on time, so that you get a chance to audition, and take the first step to the TED stage. I’m one of the TED Senior Fellows, and I should add that there is one more week open for applications to this program. Every class of new TED Fellows seems to get better, where their talent, ability to speak and communicate their ideas grows stronger. In fact, I think this year’s TED Fellows talks were at a higher quality on average than TED U talks. Not all of my favorite talks are up yet, but two of them are, embedded below. As knowledgeable as we are in whatever our chosen field is, there are things that we shouldn’t jump to assumptions on. Instead, economist Tim Harford makes a case for the use of trial and error in order to come up with the right decision. There are 2 things I’m going to leave you with today. One is a changing story of Africa, where the West is beginning to see Africa in a different light due to technological innovation. The second is a challenge to you here in Madagascar on how you recognize and promote the successes from your own country. I’m going to start with a TED story, since this is a TEDx event. In 2007 I, along with Harinjaka who invited me here today, was an inaugural African TED Fellow in Tanzania. That was a life changing event for many of us – it brought together 100 young influencers from across Africa, formed the relational base that allowed Ushahidi to be created, put Harinjaka and myself on the main TED stage for short talks, and it thrust into the limelight a young Malawian who few yet had heard about anywhere in the world. 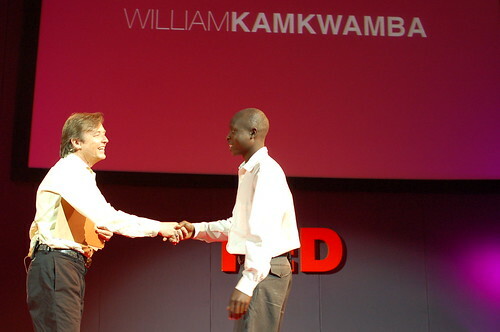 Another Malawian TED Fellow, Soyapi Mumba, introduced me to someone I had written about but never met: William Kamkwamba. It was a great surprise and an honor to meet William in person, as we had written about him on our blog AfriGadget the year before. As a young schoolboy, he was forced to drop out of school during their big drought, he had checked out a book and hand-fabricated a windmill from old plastic, sheet metal and bicycle parts to help power his home. An amazing story that is now a book, and soon to be a film. At that time, in 2006, it was a true outlier story. The kind you just didn’t here about that often. I’m going to propose to you a new story, where we’re not amazed and surprised to hear of ingenuity and innovation springing from African soil. Instead we’re seeking it out and celebrating what we already know is there. Let the people in the West be surprised, but not us, because we know and value our inventors and entrepreneurs already. I guess, if you were to boil down the last 5 years of my life, you could claim that it has been focused on finding Africa’s innovators, telling their stories, and joining them in my own high tech way. I founded AfriGadget, a group blog, telling the stories of Africans solving their everyday problems with their own ingenuity. This year we set up the iHub, Nairobi’s tech innovation hub, forming a nexus point in the city for Kenya’ thriving tech community. I’m one of the co-founders of Ushahidi, the open source software for crowd sourcing information that started in Kenya and is now used globally. Last year I co-organized Maker Faire Africa in Ghana, and this year in Kenya, which showcases 100+ inventors, innovators and ingenious solutions from that region. That sounds like a lot, but if anything, this constant brushing together with Africa’s innovators has taught me that we’re just now scratching the surface of what’s out there. Innovative business practices mixed with a different technology paradigm are shaping a new form of business, products and services across the continent. Multi-use solar charging systems like Tough Stuff or handmade. It goes on, and on, and it isn’t new. I was 2 years old when I moved to Sudan, back in 1977. In that time in the South, we had to hunt for our meat. There was this tall elephant grass that grows near the Nile that made it hard to see. I remember going hunting for meat with my dad and his colleagues and having the hunters sit on top of our old Landcruiser in order to see over the tops of this growth. 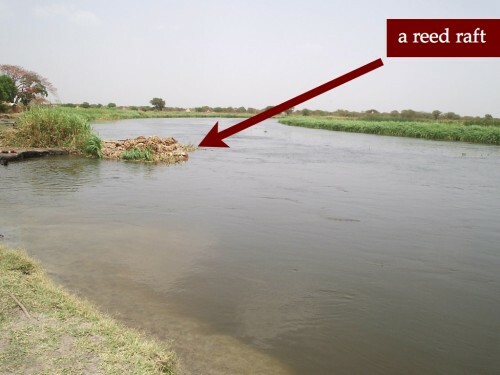 Here’s something that most people don’t know, for hundreds of years the Southern Sudanese have created rafts out this same grass and reeds to move themselves, their animals and goods down the Nile for trade. It’s an ingenious use of a naturally regrowing part of their environment, from which both people and nature benefit. innovative individuals are found in the same percentage here in Madagascar as they are in the rest of Africa and the world. That there is an even distribution of innovation globally. Now, I know there has been trouble in this country over the last couple years. 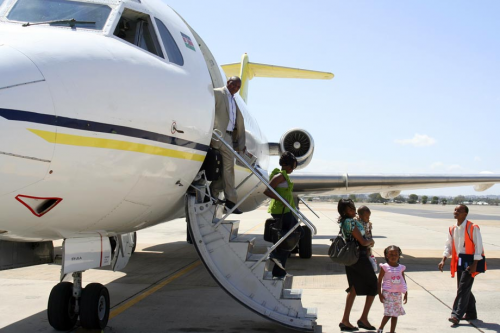 We in Kenya have our own too, as do other nations across the continent. This is my challenge to you, despite the turmoil, figure out how you will tell the positive stories of Malagasy innovation. Don’t let the world direct the narrative of poverty, corruption and coups, instead own the narrative, be proactive in showcasing your successes, even when it’s not you that directly benefits. For, until we own this narrative about our continent, we will forever be slaves to those that do. 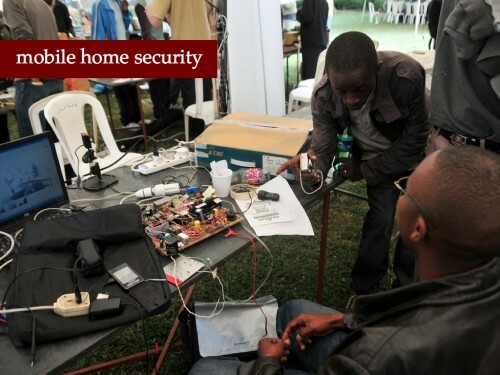 The organization that I co-founded with 3 other Kenyans, Ushahidi, has had quite a lot of success globally. I remember in the second year one of the other founders saying to me that they were surprised with our success, that they hadn’t believed we could get this far. I was surprised too, since I had never thought there was a limit to how far we could go. This is about what I’m starting to refer to as the African success complex, where we don’t always believe that we can stand on the global stage toe-to-toe with our global peers. Many times this can take the form of tearing down the people in your own community because their success is somehow seen as your loss. It’s exactly the opposite. The more successes that we have, the more likely we all are to benefit. It’s much like a shopping center, where one store alone is hardly a draw for customers, but many together bring them in hordes. The stories we tell about ourselves are what define us. They are mirrored back and become reality. When you say, “I’m going to be the best _________ in Madagascar”, you’re limiting yourself. In what we do at Ushahidi, we don’t compare ourselves to anyone in Africa, nor even globally. We choose to compare ourselves against what we expect of ourselves, not what others expect of us, and this gives us the freedom to grow and succeed beyond even our expectations. I’ve only had one day in Madagascar, and I hope to return again to this beautiful country soon. In that time however, I walked the streets and found a story of home grown Malagasy innovation to share with the world on AfriGadget. Yesterday I met a lady who takes the bark from a certain type of tree, pulps it and makes paper. I’m sure many of you have seen her family’s work on the way to the airport. This paper is then sold as a specialty gift paper to tourists and others. 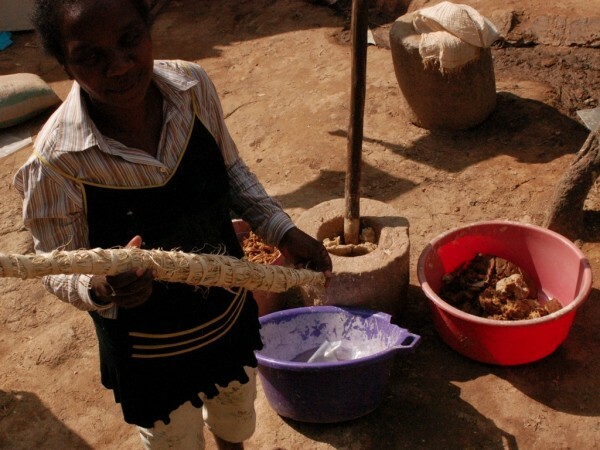 It’s an example of Malagasy entrepreneurship that has gone far, where the whole family is supported by this business. There are already a great number of exceptional bloggers and journalists from this country, like Foko, and I look forward to seeing the next stories from you, pushed into the global sphere about the businesses, entrepreneurs, inventors and social success stories. TED is the type of conference where you’re drinking from the fire hose and, with the 18-minute talks marching onward every few minutes, you have little time to reflect on what you’ve heard before you’re onto the next. It’s been two days now, much of it spent in travel, reading and reflection and I’m starting to string a couple of thoughts together that I find at the very least interesting. At the most disturbing. On the technology side, there were three talks that made me sit back and consider their repercussions, especially as I think of their tracks vectoring in on each other. It’s a pretty interesting time that we live in; where giant databases are learning about us by applying Myers-Briggs testing to millions of people through a game, where both software and hardware can self-replicate, and where you can control virtual actions and physical items with your mind. I’ve been playing computer games since I was about 8 years old, when a friend in Nairobi got a Commodore-64 and I learned how to use those dastardly cassette tapes to bring fantastical new realities to life. What happens when a gaming generation looks at the tools and devices being built? I don’t think any of us know quite yet, but sometimes, in the minds of sci-fi writers that we see a future that could be. On the flight back I read the book Daemon, by Daniel Suarez. It’s a mixture of hacker and gaming culture set in a fantasy world of techno-pessimism and a doomsday scenario that will get a geeks blood flowing. Well worth the read, a perfect airplane book. 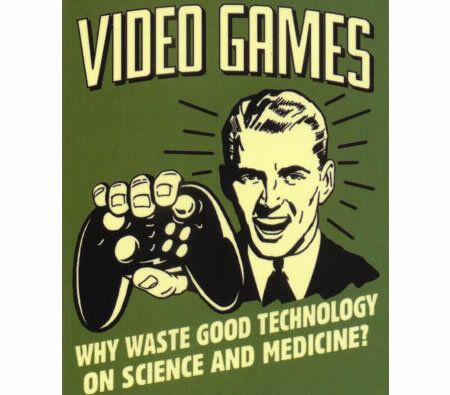 Now I’m on to Fun, Inc, a book about “gaming being the 21st century’s most serious business”. It’s a $40+ billion dollar industry, and it’s not slowing down. Virtual worlds and currency are here to stay. In Milo, I saw what looked like a fairly unimpressive game, but one with a very impressive gaming and AI-training engine. It’s next iteration will be significant indeed. I talked to Tan Le about the Emotiv device and how I thought that her ideas of it being used for practical purposes like closing shades and turning on lights, though sounding less juvenile, would likely be overshadowed by its use in the gaming world. In fact, I can’t wait to see the first big gaming companies using the Emotiv SDK to create new user interactions, HUDs and options in popular games. All of these vectors of technology are, at once, both exciting and scary. I don’t know where gaming is taking us. What I can’t help but think is that gaming, and possibly the culture behind it, will be the vehicle that drives mainstream technology use and growth of the talks and demos that I saw at TED. 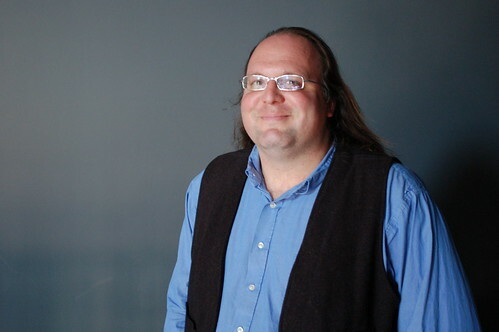 Ethan Zuckerman is giving his first TED talk today in Oxford. He’s a long-time friend, a well-known blogger, tech entrepreneur, thinker and visionary. For the last few years he’s been a fellow at the Berkman Center for Internet and Democracy at Harvard. He’s the founder of Global Voices, and one of the best real-time bloggers in the world. Ethan starts off talking about football, the world cup and Galvao birds and his confusion around this meme coming alive. He also learned that this is a prank, relating to Lady Gaga and also a leading commenter (Carlos Eduardo) for football. The lesson you can take from this, is that you cannot go wrong as long as you ask people to be activists online by only tweeting a phrase. What happens on the social network, that you choose to interact with the people you want to. Therefore, most people don’t realize how many people of different demographics are online doing things as well. Ethan brings up the fact that 24% of Twitter users are African-American. The prediction of the past decade were that there was a utopian vision for the future online. He brings up Negroponte’s “Being Digital” book. It turns out that in many cases, atoms are much more mobile than bits. We look at the infrastructure of visualization. From a macro-level view, it looks like everything is flat and connected. However, when you look at what actually happens, you realize it’s not all what it seems. There’s a virtual sky-bridge between London and New York, but not Africa. International news is another area, one that Ethan is very interested in, where we see that the amount of international news in the US is less than any time in the past. It turns out that new media isn’t necessarily helping us that much. He shows a map of the total number of Wikipedia articles that have been geocoded. In the UK you can pick up a newspaper and read news from everywhere in the world. You probably won’t. You’ll read your own. Imaginary Cosmopolitanism – we have the ability to see and read about things happening all over the world, and the infrastructure to do it, but we don’t. Global Voices is his project to bring together news from all over the world using bloggers from those areas. Raising Voices is a program run by GV to get more people working on social media, especially blogging. Ethan brings up Foko in Madagascar as an example. Global Voices is also about translation in these other countries. He brings up Yeeyan in China who pick articles every day and translates them into Chinese (due to the horrible news coverage). He asks, if there is Yeeyan for Chinese, where is the group translating from Chinese to English? “The wisdom of the flock” – congregating around news with people who are probably very similar to you. Skilled human curators are able to do this, they are virtual DJs who bring together information and news that push people outside of their norm. AfriGadget image brought up. He talks about my work around blogging in Africa and that I’m a bridge figure (blogged before by Ethan). The bridge figures are the way the world will get wider on the web. Xenophiles are different, they’re people interested in areas of the world that their normal demographic isn’t. They then visit and translate that world to others. We have to figure out how to re-wire the systems that we have. Session 1 at TED just ended, and it can only be described as an “only at TED” moment for me. Khaneman gave an engaging talk on “happiness”, where he talked about the difference between “being happy with your life versus being happy in your life.” There’s a difference between how we experience life and how we remember our experiences of life. David Cameron is expected to be the next Prime Minister of the UK, he was the surprise talk this morning, telecasting in from London. He asked, “How do we make things better without spending more money?”. Pointing out that the global debt level is over 32 trillion (Pounds?). His answer: use behavioral economics plus the information revolution and let’s see how we can change society. He wants to see greater transparency of government data. Stating that we have only scratched the surface of what can be done with open government data. Choice. What happens if the government doesn’t mandate, but allows people to choose? He uses examples of web-based shopping engines and wonders how that can be applied to things like healthcare. Accountability. Using an example of the Chicago crime map he wonders what will happen as we give the people power to see what is happening and hold the government and police to account for what happens. 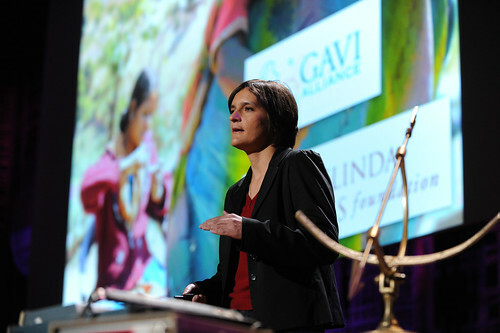 Esther Duflo, from the Poverty Action Lab at MIT, gave a mesmerizing talk on the aid and development sphere, using examples from Africa and India. She’s asking the hard questions and trying to answer them scientifically, pointing out that much of the arguments (ie, Easterly vs Sachs) being made for/against things like bed nets in Africa are more emotional than substantial. We can find answers to these questions using randomized control trials. She gave examples like the one where they ran test of 130+ communities using a control, camps and camps with incentives to test if children would be brought in more/less often for immunizations if they were given an incentive of a kilo of lentils. The answer: they were, 38% more actually. That, and the fact that it was actually cheaper to run the incentivized camps than the normal ones. I’m in Long Beach, California for the annual TED conference. This year I’m a Senior Fellow, which means that I get to see and spend time with old friends like Jon Gosier and Juliana Rotich, other Fellows from year’s past and enjoy some first class discussions and mentoring from groups like McKinsey and Duarte Design. 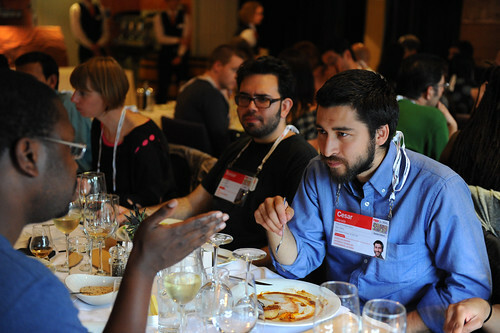 I’ve been taking pictures of the TED Fellows, you can find them on my Flickr set. 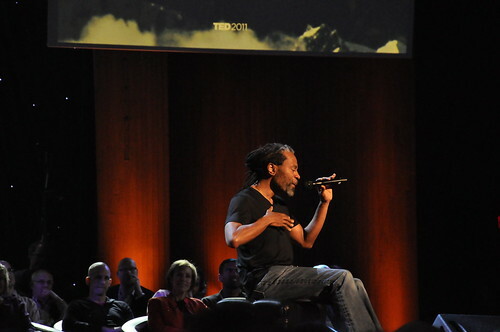 The really great shots are by the TED photographers, and you can find those here and the TED Blog. 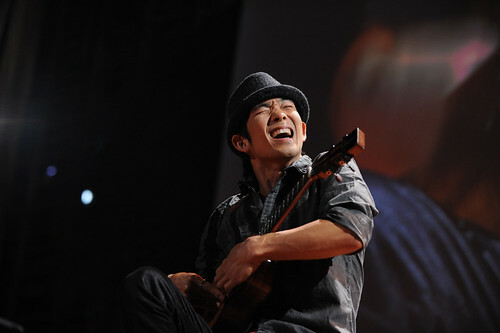 More on the amazing and eclectic group that is this years TED Fellows. I met Hugo Van Vuuren, a fellow white African, at PopTech last year. He’s doing some amazing work in Africa around creating energy with off-grid technologies. Figuring out how to use simple things like dirt to create power at Lebone. Hugo says that they’ll be ready to sell this type of product by summer 2010. I was mesmerized by Angelo Vermeulen‘s talk on “Biomodd“, which is a riff off of the gaming communities case modding trend. Nigerian Ndubuisi Ekekwe, an engineer, inventor, author and founder of the African Institution of Technology, an organization seeking to develop microelectronics in Africa. Kellee Santiago is a gamer and creates games based on emotions. She gave a great talk on what her company “That Game Company” does, with games like Flower. Ben Gulak is a 20 year old inventor. 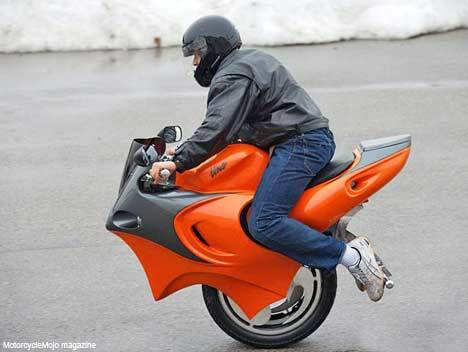 He’s created the UNO, an electronic motorized unicycle and the DTV (Dual Tracked Vehicle), taking the best characteristics of a snow mobile, a skateboard and motorcross bike. This new TED Fellows class is an eclectic group of polymaths. People who have expertise and interest in multiple areas. What sets them apart though is the fact that they actually “DO” things, not just talk about them. Seeing their work, talking to them about their projects and realizing just how special it is to be able to do that is what makes being a TED Fellow an amazing experience. It all started with a TED Fellowship to Arusha, Tanzania in 2007, and today it’s a great honor to be selected as one of the inaugural 20 TED Senior Fellows, especially as it’s in the company of people that I know and respect greatly. It’s also neat to see that 25% of us represent Africa (in bold below), no doubt a nod to the African roots of the TED Fellowship program. Joshua Wanyama, Sheila Ochugboju and myself at the TED Talks viewing in Nairobi earlier this year. The TED Fellows program brings together extraordinary individuals who are working on an eclectic group of projects and programs, or are building organizations and companies that are changing the world. Our role as TED Senior Fellows will be to mentor the newer Fellows, help with TEDx events in our communities, post on the TED Fellows blog, and continued year-round participation in the TED community. The greatest benefit to being a TED Senior Fellow is being able to attend five additional TED conferences (TED and TEDGlobal), participating in five Senior Fellows pre-conferences, the potential to deliver a full-length talk on the TED University or main TED stage, and the possibility to have that talk posted on TED.com. That’s a lot, but maybe the greatest advantage this type of opportunity provides is the chance to be part of the TED community on a long-term basis. Something that’s hard for those of us who are doing interesting things, but don’t necessarily have the resources to spend on getting to multiple TED conferences. Check out the TED Fellows site if you’re interested in becoming a Fellow, or want to know more about the program. 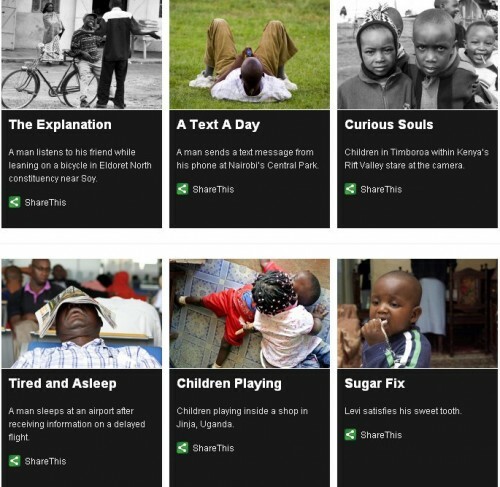 The TED Fellows blog is also a good source of eclectic information from people doing amazing things around the world.